Cranial Prosthetics (Wigs) for Hair Loss Conditions like Cancer, Alopecia, etc. Elite Emage offers a broad assortment of the best and latest styles of high quality Human Hair and Synthetic wigs. 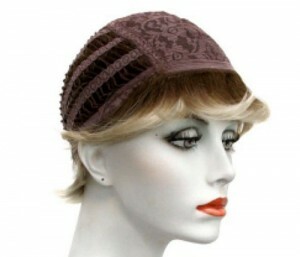 When considering a wig, it is best to consider the cap construction. Each design has a specific method of attaching hair and offers its own set of advantages. These new cap constructions are lighter, more durable and prove to be more natural looking. 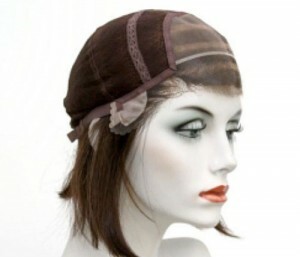 Basic Cap wigs are the most common and affordable design. 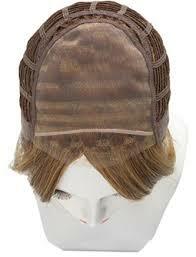 Wefts of hair are sewn onto the cap, which has a closed lace layer at the crown. The hair is cut and styled into a specific style and the crown is often teased or crimped so you cannot see down through to the cap. This type of cap often gives the hair volume at the crown. Front Lace wigs create the illusion of natural hair growth along the hairline. This adds to the natural appearance of a wig and allows for styling away from the face. Some come pre-trimmed and are ready to wear while others will require some personalization. Full Lace wigs allow each hair to move freely for the most natural look. Each full lace unit is capable of being parted anywhere throughout the cap for a natural appearance. 100% Hand Tied wigs have full bleached knots (for a more realistic appearance), single knots at hairline and double knots elsewhere (for durability). Monofilament caps offer a very natural look with parting versatility. 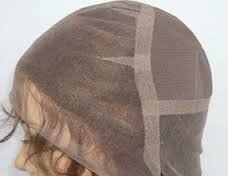 The mesh material gives the illusion of hair growth from the scalp and allows for individual, hand-tied hair. As a result, hair can be parted and combed in different directions. Monofilament wigs can be monofilament at the part, crown or entire top of wig. Which Is Right for You, Human Hair or Synthetic Hair? Human Hair and Synthetic Hair have advantages and disadvantages which make them the right choice at different times. Both are great choices for you depending on your budget, time, and needs. Ideally, you will choose to have both on hand as they each have their pluses! Here are the facts so you can know what circumstance is most beneficial for each. Human Hair offers the most natural look and feel. It is remarkably soft with a shine and movement that is not easily duplicated in synthetic hair. It is also extremely versatile. Human Hair can be cut and styled to suit your personal tastes. And while it can be a more expensive pick; with the proper care, it is also more durable and can last a long time. Human hair is by far the superior choice if quality is the only factor. Other than price, the main drawback to human hair is required maintenance — as with natural hair, it requires effort. For many, daily styling is actually preferable as it allows for more control over the appearance as well as a sense of normalcy that can come with the daily hair styling ritual .Keep in mind that human hair does not come out of the box ready to wear. You may choose to have it customized by our professional stylist here at Elite Emage to get exactly the look you like. With the advances in technology, synthetic hair has come a long way in recent years. In many cases it is hard to tell the difference — the look and texture are such that they feel almost like human hair. Consequently, with some of the higher quality synthetic pieces, you would never know they were not natural human hair. The most appealing aspect to synthetic hair is it can often be worn right out of the box with little or no styling. However, what synthetic hair offers in ease, it lacks in versatility. It cannot be styled to look many different ways like its human hair counterparts. Synthetic hair is also less durable than human hair. With proper care you can expect synthetic hair wigs and hairpieces to last about 4-6 months – heat friendly synthetic hair 2- 3 months. It is important to follow our care recommendations in order to get the optimal life span from your hair. The limited versatility of synthetic hair becomes less of a consideration when you factor in the affordability. You may choose to have a wide variety of styles on hand and ready to wear!